A short and somewhat unclear story from The Telegraph of Calcutta, India suggests that existing Indian law can be used to investigate and prosecute HIV exposure following non-disclosure (and possibly 'reckless' HIV transmission) under Sections 308 and 420 of the Indian Penal Code (IPC). Section 308 deals with attempt to culpable homicide not amounting to murder and Section 420 deals with cheating and 'confidence tricks'. 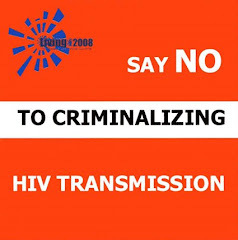 The paper reports that the police refused to register a complaint from a woman against an HIV-positive man who had not disclosed his status before marrying her. It is not clear whether the woman is also now HIV-positive. "The Bombay High Court ruled that whenever a complainant discloses a cognizable offence, the police is bound to register it and start an investigation. The court directed the hospital where the man was undergoing treatment to co-operate with the police by giving access to all relevant documents." Story with headline 'Positive Impact' can be read at The Telegraph, India online.